It is vital that any toileting product such as the Lift Seat fits over toilets that are often placed in tiny bathrooms. Our streamlined and compact design allows the Lift Seat to fit in virtually every type of bathroom and over every type of toilet. Although the Vertica is slightly wider than our standard Home Liftseat, it is still compact enough to fit into even the tightest of bathrooms. Does the Liftseat come supplied with everythingI need? Does the Liftseat need ground fixing? Does the Liftseat need maintenance? Yes, but very little. It is required that the moving joints of the Lift Seat mechanism (directly under the toilet seat) are sprayed regularly with a silicon spray to keep them lubricated. How is the Liftseat cleaned? 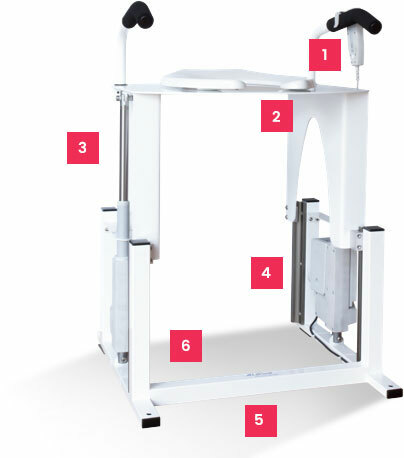 Is the Liftseat easy to install? Will the Liftseat fit over my toilet? Will soil pipes, boxed pipes etc get in the way of the Liftseat? Will the Liftseat fit into my small bathroom?